Ghana’s strides towards consolidating democracy in the last 25 years have made it one of the shining examples on the continent of Africa. An independent judiciary worthy of popular trust, along with its vibrant media, has placed Ghana among the top three for freedom of speech and press freedom in Africa. As if by design since 1992, each of the two major political parties have been voted in and out of office after every two terms or eight years – and these developments have provided Ghana, which became the first country in Sub-Saharan Africa to become independent in 1957, with solid social capital, thus making it one of the most attractive destinations for foreign direct investments (FDIs). On 7 December 2016, the opposition leader Nana Addo Dankwa Akufo Addo of the New Patriotic Party won a peaceful election on the promise of transforming an economy that for the past 60 years had been dependent on the export of raw materials to an industrial-based one. “Building a Ghana beyond aid and unleashing the strength of the private sector to take the lead in the country’s industrial transformation agenda is what my government is pursuing,” said President Akufo Addo at his first media encounter in July 2017. • Improving the business environment – addressing bottlenecks and formalising the economy. As part of the process of formalising the economy, the National Identification Authority has begun the issuance of national biometric cards to residents, and by the close of the year a digital property addressing system will also be in place. Developments in the economy continue to bear witness to the dreams and aspirations of the government. Economic indicators in the first half of 2017 showed signs of an improved macro-economic environment after a substantial fiscal slippage in 2016. The fiscal deficit for the first half of 2017 stood at 2.7% of GDP, which is on track to meet target of 3.5% of GDP. Ghana’s total debt had increased from 29.2 billion US dollars (73.1% of GDP) at the end of 2016, to $31.7 billion (68.1% of GDP) in 2017, reflecting a slowdown in the rate of external debt accumulation, as well as higher GDP growth. Ghana’s economy expanded for the third successive quarter in March 2017 to 6.6%, up from 4.4% the previous year. The industry sector recorded the highest growth – 11.5% compared to 1.8% in 2016 – with significant contributions from the mining and petroleum sectors. Ghana in August raked in $8.95 billion from cocoa, oil and gas, according to the Bank of Ghana. This represents a growth of 27.8% between August 2016 and the same period in 2017. In October, the latest Standard & Poor report on Ghana’s economy revised Ghana’s economic outlook from stable to positive. “We expect Ghana’s new administration to implement numerous measures that would help strengthen public finances from their current very weak level,” S&P said. Ghana was last given a B credit rating by Fitch, along with a stable outlook by Moody. Cocoa is an important agricultural commodity in the global economy. The 2014 – 15 season was forecast to top over 4.2 million tonnes with an approximate value of $12 billion produced worldwide. The demand for cocoa has risen three times faster than population growth over the last 15 years and industry forecasts predict a 20% growth over the next decade. Ghana and Cote d’Ivoire produce 60% of the world’s total volume of cocoa. Ghana is the world’s second largest producer of cocoa- the main ingredient for chocolate – and has great potential to add value to its raw cocoa exports. The cocoa industry therefore offers opportunities to increase export earnings through increased and finished products. Less than 25% of Ghana’s cocoa beans are processed locally, allowing Ghana to capture only about 5% of the $28 billion of the global intermediate cocoa processing industry. Ghana’s cocoa commands a premium price because of its high quality compared to cocoa from other lands. This makes the cocoa sector one of the best sectors to invest in by adding value through increased investments and innovation. On the energy front, the supply constraints witnessed in the last couple of years are being addressed through the tackling of the financial challenges including the issuance of a $2.5 billion bond to offset the legacy debt of the energy sector to create space for increased investment. The Electricity Company of Ghana (ECG) is the sole distributor of power, and in a bid to revitalise the energy sector, government is encouraging private sector participation led by local companies with support from the Millennium Challenge Compact from the US government. Ghana is looking forward to diversifying its power resources, as its current reliance on hydropower makes it particularly vulnerable to droughts. In a 2010 report, the World Bank estimated that Ghana’s infrastructure finance gap is estimated to run between $3.9 and 5.5 billion per year through 2026. In other words, more than $40 billion in total will be needed but this will require significant private finance from Ghana’s long-term allies like Denmark. “Ghana is a land of opportunity for private capital. 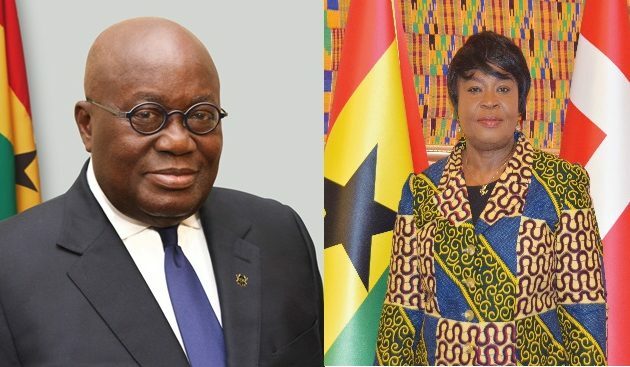 More importantly, Ghana is open for business and has taken it upon herself to build a business-friendly economy that will enable her get to the stage where the opportunities available here will help her build an optimistic, self-confident and prosperous nation, beyond aid,” said President Akufo Addo. Ghana has a solid tradition of investments in agriculture and agro-processing. The financial services and telecom sectors are fast gaining ground, providing dynamic and innovative services to the most diverse customers in the world. Further opportunities exist in manufacturing, ICT, and tourism. Mineral deposits including gold and diamond abound and, with the discovery of oil, Ghana’s famous black star has never shone brighter. 150-250 MW of utility-scale wind and 50-150 MW of utility-scale solar capacity. Ghana has a stable political environment within the West African sub region. Abundant, adaptable and easily trainable labour force. A competitive daily minimum wage. No restrictions on issuance of work and residence permits to free zone investors and employees. Duty free access of manufactured exports to USA (AGOA) and European Union markets. Excellent sea and air connections with Europe and USA. Strategic and central location with West Africa providing access to a market of 250 million people. Availability of a stock exchange as well as other bank and non-banking financial institutions. A dynamic private sector wiling to collaborate with foreign partners. A committed and progressive government to private sector participation.